Home » Actor » Actress » Bollywood » India » Movie » News » Picture » Song » Update » Obituary - Professor Rita Jitendra died in Doordarshan Kashmir studio during live broadcast. 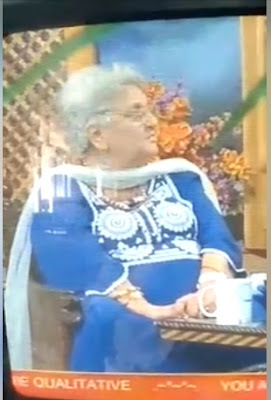 Obituary - Professor Rita Jitendra died in Doordarshan Kashmir studio during live broadcast. Professor Rita Jitendra, former Secretary, J&K Academy of Arts, Culture and Languages, suddenly left us this morning. Her demise comes to me like a thunderbolt. She has been an ace broadcaster, writer and a person who knew significance of sound broadcasting and also the nuances of production and direction. A small faux pas if ever occurred during the transmission of Radio Kashmir, Jammu, she would feel fidgety and call me all the way from Jammu and suggest measures to guide the Station restore broadcast ethics, which it has always been known for. Professor Rita Jitendra and & also her husband Shri Jitendra Sharma was a man of letters having contributed immensely to the professional functioning of Radio Kashmir, Jammu, left us long ago. Both of them were equally indispensable for us and enviably popular in Jammu and Kashmir. I and the entire Akashvani family mourn Rita ji's demise and we pray to almighty that she gets a suitable place in the heaven. Her children, sons-in-law and son, Dr. Mukta Jitendra in particular, are bereaved, so are we across the length and breadth of AIR network in India. For a broadcast organisation, a broadcaster is a guide and losing a guide is like getting trampled beyond repairs. Source :- Facebook account of Shri. Fayyaz Sheheryar and Smt. Suman Pal.